They say speaking in front of a group is people’s greatest fear. I don’t know if the fear of posting naked pics of oneself on the internet has ever been studied, but it must be right up there. In any case, I’ve done both. Public speaking is way scarier. Still, I get a kick out of writing and delivering speeches, to the point of having joined a public-speaking group, just for the sport of it. Moreover, I seem to have some aptitude. People tell me they enjoy my talks. Sometimes they laugh and sometimes they’re touched. I’ve won local contests too. Ever the entrepreneur, I was wondering if could parlay my hobby into some financial gain. So I checked around. Who’s talking for dollars? Dawn Wells, you remember her as Mary Ann on Gilligan’s Island, commands upwards of $10,000 per engagement. Yikes. I want some o’ that. Although her stint as a castaway fills only a portion of her discourse. She also designed a line of clothing for the aged and infirm. It's called the Wishing Wells Collection. Hahaha – get it? Donna’s an actress and a gifted wordsmith. I bet she’s a scream behind the lectern. Maureen McCormick, aka Marsha Brady. She’s available. Guess what? Maureen went on to lend her voice to the Chatty Cathy doll. I did not know this. But I wouldn’t pay to hear her speak. Nonetheless, there seems to be a market. Her fee is negotiable. My point is, there are folks out there who probably don’t have a hell of a lot to say and they’re making big bucks saying it. Why not me too? 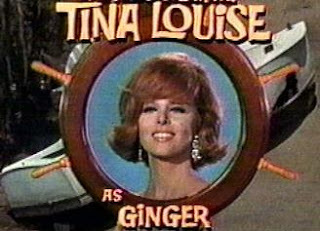 Tina Louise will not discuss the Ginger years. Susan Dey is mum on her Partridge past. They simply refuse to do it - yet they rake in the cash anyway. So I’m ready with stories, folks. I can tell you about being stark naked on a downtown city street at six in the morning, or the life lesson I learned from the guy who almost killed me. I have plenty, and none involves garment design or talking dolls, I promise you. Okay, so maybe I didn’t appear on a sitcom in the ‘60s or ‘70s. But I’m not asking for $10,000 either. As little as half that would be fine, plus expenses. Contact Knucklehead. He knows how to reach me. ginger?? who'd have thought it? i've not been one to hang out places where folks are hired to speak. the people i tend to listen to are those who paid a high price for the fact of being behind the podium. it's a different crowd. nevertheless, i've come to enjoy public speaking and it would kind of be a blast. telling my story at aa is an honor. telling it to straights would be hysterical, watching the mouths fall open, the eyebrows fly up. i'd love to hear your stories. always like to read your posts at jmg. didn't realize you were here, and here you are. so . . . Thanks. I'm a regular reader of yours as well. Nice stuff, keep it up! I just stumbled onto your site. I never heard of you before. but you are very cute. Knucklehead is right. If your speaking fee is negotiable, how about a dinner at Leonardo's if and when Tom & I ever get back to Montreal? Naked on a downtown street at six AM is far more interesting than Tina Louise any day. DAWN Wells, Not Donna. I should be embarrassed that I know that...but I'm not. No, I'm the embarrassed one. I hang my sorry bloggin' noggin in shame. I'll make the correction and hope to do better next time. Ms Wells, that's what I get for trying to mock you. I'm sure your outfits are lovely.